An authoritarian nation obsessed with big milestones, North Korea will use the celebration for the 70th anniversary of its national founding to glorify Kim Jong Un as a leader who’s standing up for a powerful nation surrounded by enemies. Kim will also welcome a delegate from his most important ally, senior Chinese official Li Zhanshu, the third-ranking official of the country’s ruling party and head of its rubberstamp parliament, whose presence at the parade would underscore Beijing’s role as a major player in international efforts to solve the nuclear crisis. That’s a role South Korean President Moon Jae-in covets, and one of several reasons why the pressure will be intense when he travels to North Korea later this month to meet with Kim. The current stalemate between Washington and Pyongyang has raised fundamental questions about Kim’s supposed willingness to abandon his nukes, questions that were initially brushed aside amid the soaring, and so far largely empty, rhetoric surrounding a June summit between Kim and President Donald Trump that saw very little substance in its wake. 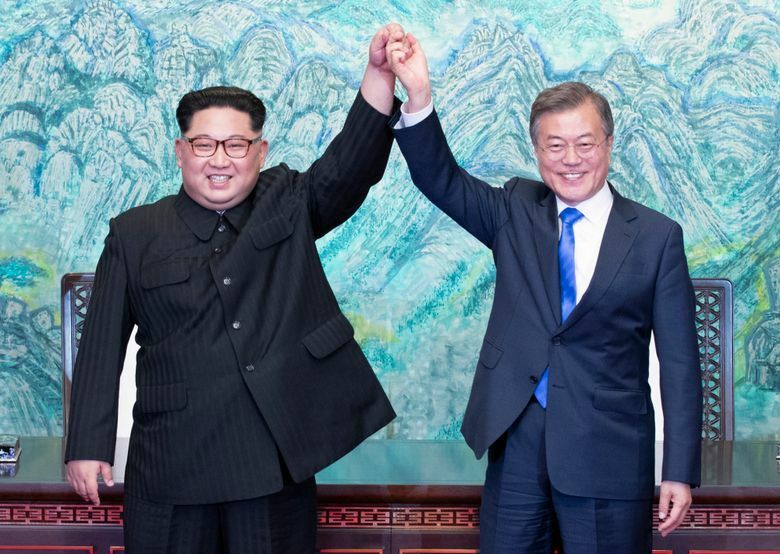 “It’s worth the gamble for Moon to make bold demands to try to get North Korea back on track in nuclear negotiations with the United States, but current signs indicate the North won’t budge,” said Choi Kang, vice president of Seoul’s Asan Institute for Policy Studies. Trump responded by calling off Secretary of State Mike Pompeo’s planned trip to North Korea last week, citing insufficient progress on denuclearization. Seoul expressed regret and urged Washington to commit to continued diplomacy. Suh Hoon, Moon’s spy chief, told lawmakers recently that Pompeo’s visit collapsed mainly because North Korea demanded that the United States sign an end-of-war declaration up front, while Washington insisted that the North first hand over a list detailing the components of its nuclear program. 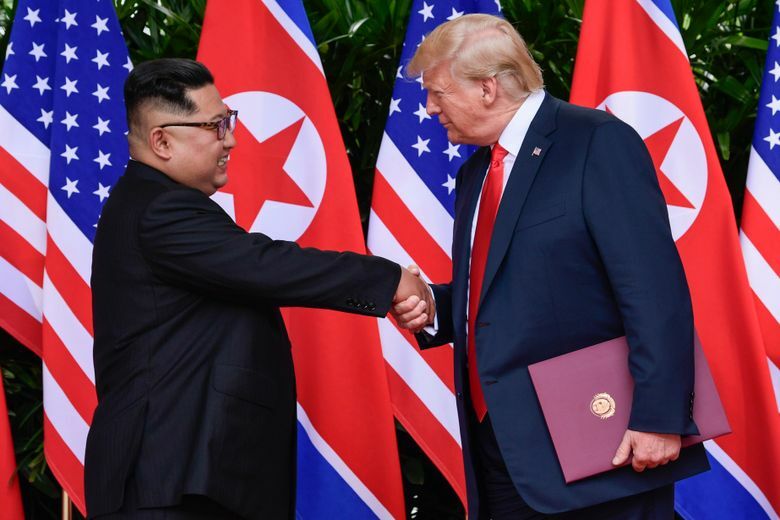 North Korea, which calls for a “phased and synchronized” process in which every action it takes is met with a reciprocal reward from the United States, claims it has already taken serious steps toward denuclearization, including its unilateral dismantlement of a nuclear testing ground and a missile engine test facility. 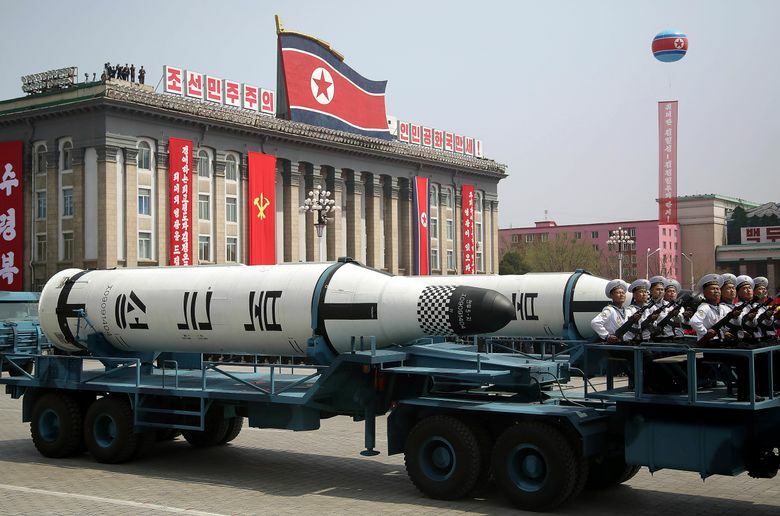 U.S. officials maintain that such a declaration cannot come before the North takes more concrete steps toward relinquishing its nukes in a verifiable way. None of North Korea’s actions so far have been verified by outsiders or seen as realistically reducing the country’s nuclear and missile capability. 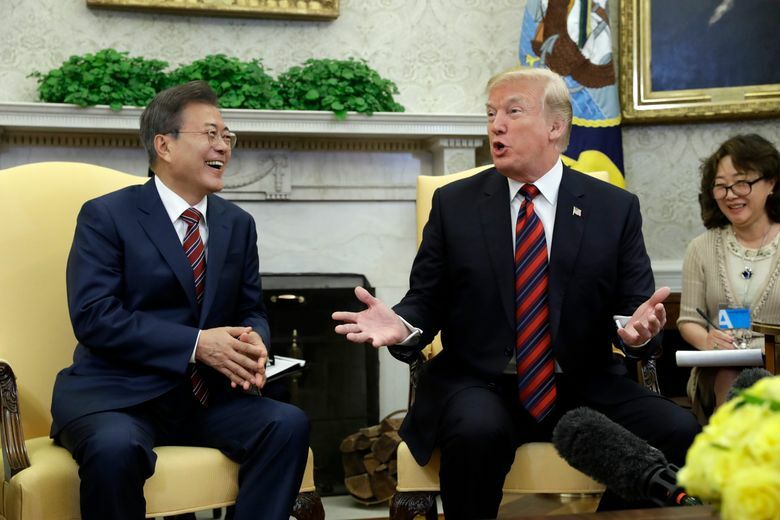 The American stance could cause a split with Moon’s government, which also wants a quick end-of-war declaration, possibly at the U.N. General Assembly in September. Moon’s critics say he puts too much faith in North Korea. The North has never provided a full account of its fast-growing nuclear and missile program and seemingly has an endless number of cards to play in the “phased and synchronized” game — like dismantling a missile engine test site or removing a launch pad — before it ever has to take concrete steps on denuclearization. North Korea’s obsession with an end-of-war declaration may also indicate that it seeks to turn the talks with the United States into an arms reduction negotiation between two nuclear states, rather than a process to surrender its nukes. The Koreas have staged emotional reunions between aging relatives separated by the war, fielded combined teams in sports competitions and held military talks to ease border tensions. 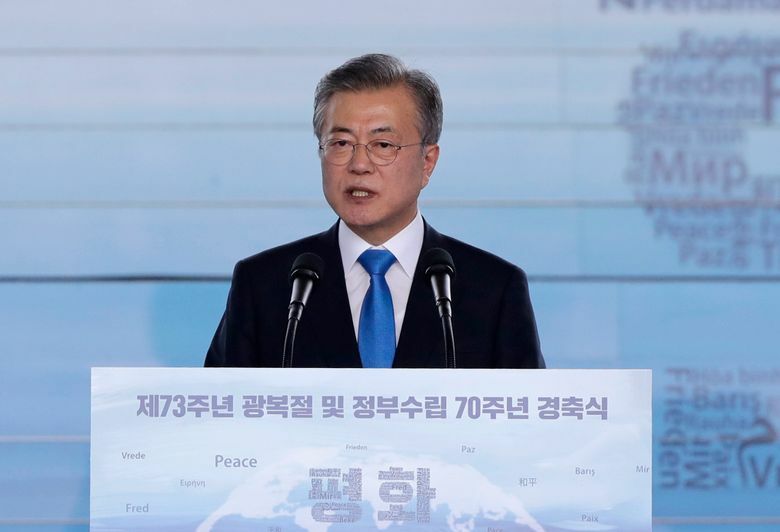 But Moon’s more ambitious ideas, such as joint economic projects and reconnecting cross-border railways, are held back by international sanctions against Pyongyang. South Korean Foreign Minister Kang Kyung-wha said recently that Seoul has yet to gain Washington’s full endorsement to open a liaison office in a North Korean border town, which some say could violate existing sanctions. 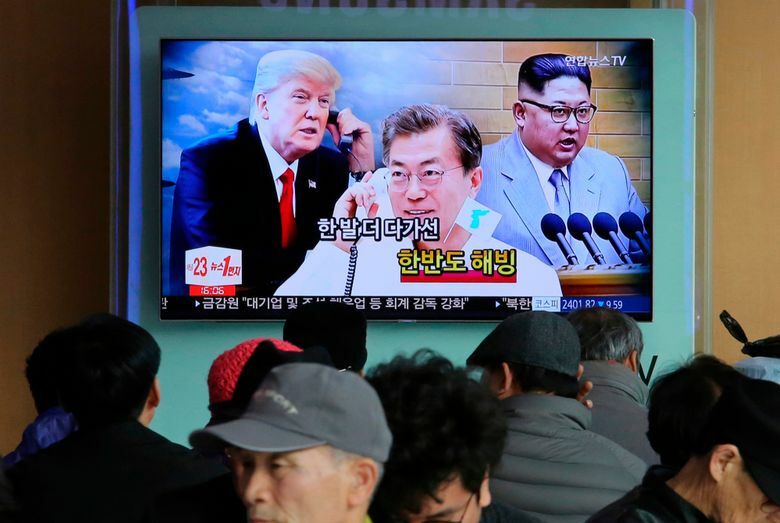 Moon’s nightmare may be a return to 2017, when animosity created by the North’s barrage of nuclear and missile tests and Trump’s responding belligerent tweets raised war fears among South Koreans. Moon’s approval rating, although still above 50 percent, has declined sharply in recent months over a decaying job market. He can’t afford a setback on inter-Korean relations, his strongest issue.